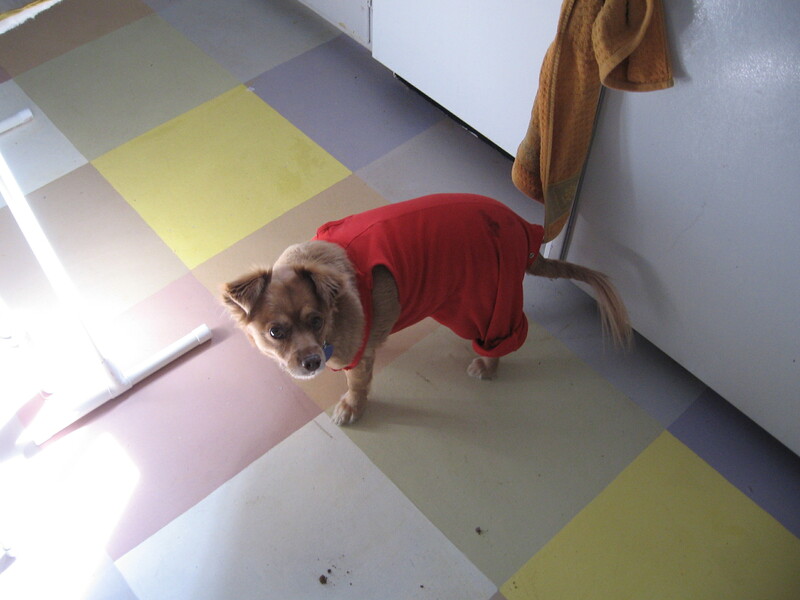 This entry was posted in Uncategorized and tagged alterations, dogs, horses, lumpectomy, making do, overalls, sewing, veternary by Ms. SpoolTeacher. Bookmark the permalink. Never be afraid to charge for your work. It has been my experience that the more people have the less they want to pay you for your labor and expenses but they will. Sounds like your Vet is a keeper. I was once ask how much I would charge to make a kilt. I said I don’t do outside work. After a lot of badgering I quoted $5000.00. That shut them up. I still thought I was low just for the aggravation factor. If I can get so jacked out of shape making my own I can just imagine the condition I would worry myself into making for someone else. Next time I’ll quote $10,000.00 just to be on the safe side. Boy do I understand the getting out of shape issue. Being “the perfectionist” doesn’t do much to minimize the prayers associated with, “I hope they will like this after all the agony I just put myself through.” There really is no money enough. However; thank God Ms. SpoolTeacher loves to sew. I even agonize over mending knee holes. Patch or camouflage stitching? Long patch, short patch, same color, different color. Reading minds is hard. “Oh, whatever you think.” That’s a scary confidence. It still beats working for the “Corps”. I prefer being a slave of my own making. Hoo yeah!